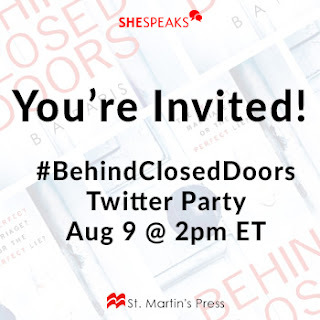 Take A Peek #BehindClosedDoors And #Win + First Five Chapters FREE! I love to read. So does my husband and we have passed this love of reading down to our children. My kids are always on top of their classes in school in regards to their reading. As a matter a fact, my readers are not only doing the Library Summer Reading Program, but also The 100 Book Club this year! I"m so excited for them! Well it ends in December and my daughter is alreay done!!!! We do not play with books! It will be fascinating to watch this movie, but I'm so glad that I get to read the book before. The book is always better than the movie right? This book had me captivated, not only being on a deadline, but also wanting to find out exactly how it ends!! This book is relatable because just as life is unpredictable, so are the lives of the characters in the book, and unlike the movie when it's show, with the book, you have to turn the page to know more! We all know that's not ever true in most cases. And it's the same with Behind Closed Doors, you can't always know for certain what goes on. 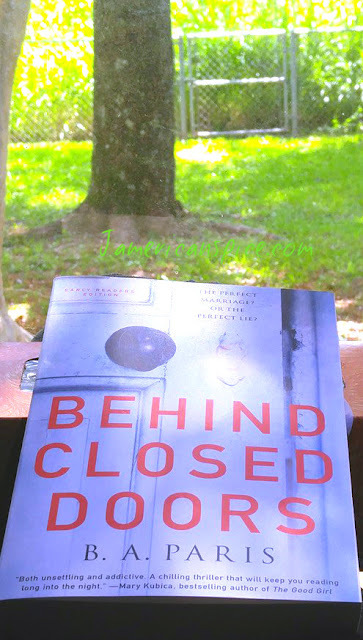 The author does a great job of putting forth Grace and Jack's relationships, their family life and interesting subjects that some authors rarely delve into. As a thriller, the book does keep your heart teetering, hanging on each word and wanting to know more and soon! They seem to be the perfect couple with all the trimmings; wealth, good looks and a niche in society. But, looks can be deceiving. Jack and Grace had an exciting romance after they met. Jack is the man you want to desire, he is a lawyer who defends women in domestic abusive situations, and has a record of always being a winner. They have my dream house and Grace hosts the best dinner parties, along with Jack. The moment I begin reading, I knew something was off between Jack and Grace. As you read deeper into the story you will learn that Grace who was once an independent woman, has become completely dependent on Jack and that she has put her marriage above all else, including her well-being. This well-written story shares Grace's story by shifting through snapshots of her past and present. It does this throughout the book so the reader can understand why, however it doesn't feel like the story is interrupted. You can focus on moving forward through the story, instead of getting distracted by wondering why this or that was happening. Grace also have a sister, Millie, who is 17 years old, struggles with Down Syndrome and Grace has fought to be her guardian, so she wouldn't be institutionalized. It was quite shocking to see the choice Grace made, between her relationships. However, I can see why an abused woman would do such a thing. A story that begins with all the great things of romance novels and ends in horror! I haven't read a thriller in awhile, so this was great to try to figure out what the ending would be! I want you to read this story. I don't want to give it all away, but this is one to add to the book club for some serious discussion! As perfect couples and lives go, how will this marriage turn out? Is Jack all the man he shows to the world? How will having a special needs family member help or hurt this relationship? Grab the book and enjoy this novel! The book will definitely hook you, but parts of the ending make the chambers of your mind keep twisting. The author did a great job! Will you add this to your Summer Reading? Do you make time to read? What’s your usual reading schedule? 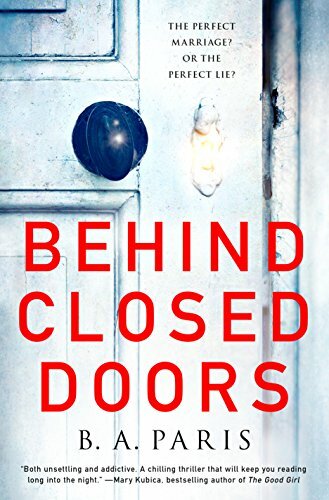 #BehindClosedDoors book made it to the bestseller list! St.Martin's Press has since made the first five chapters of the book free to download, So if you were wanting to read it, this is your chance to see if this is the book for you. Come meet the author and WIN prizes! The Behind The Closed Doors book will be on bookshelves on August 9, and we’re having a Twitter Party to celebrate the launch! 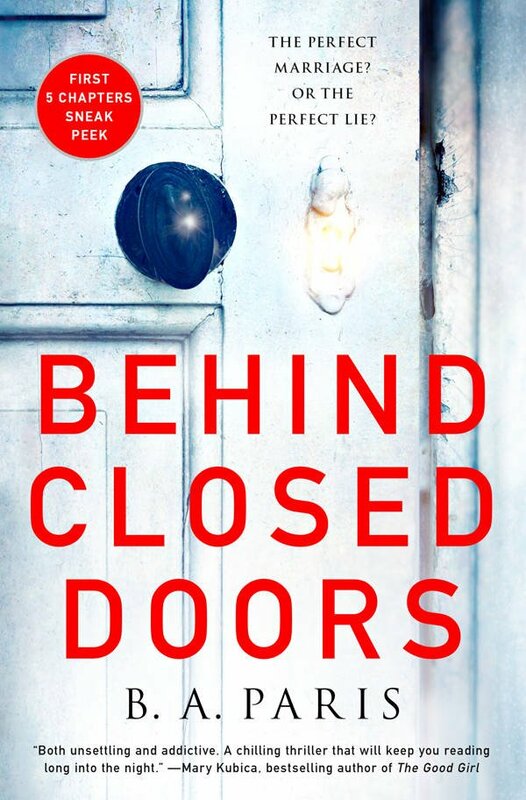 You won't be to put down this new psychological thriller! Be sure to RSVP so you're eligible for the door prize by commenting on the blog post with your Twitter handle. Make a dent in your Summer reading list. Read a book that you have been wanting to get around to and review it on your blog. Then share your review with us! I have raised my kids to be readers. It helps them to learn so much. This book sounds great! I love reading, and I read a lot when I was younger, but now that I'm much older and busier, I don't have the time! I wish I did! I am looking for this book everywhere. I want to read it! I didn't even know that there's going to be a movie about this. I like stories that you can relate to but also surprise you with the different storylines. I'm pretty sure my mom and I will enjoy reading this book! If it is 2016's answer to Gone Girl then I am down for it. I love to read too! I just put this in my reading list today! Perfect timing, since you confirmed that it's a good one! I love to read as well. What an interesting premise for a book. The secrets that hide inside! I love reading books. This looks interesting tho. I might buy this one too. This book looks so good! I just might have to go out and pick this one up and see what it's all about myself. The book looks and sounds so amazing! Felicidades EPICA to the author. And mad respect to you for promoting books with such enthusiasm! you're every authors dream. Always looking for a good book! I will add this book to the TBR list. I love psychological thrillers. That's my type of book. I studied psychology in college and I find books like this fascinating. Boy do I hope she finds her way back to independence. The books sounds like a page turner, Colette! Hearing both backgrounds certainly sounds like a very interesting match-up between the two. I'm also curious with how the characters are going to show some effort into their relationship.